While the murders of twelve people at Charlie Hebdo are unjustifiable, one of the killers did attempt, in advance, to justify the attack. The main justification offered was that the attack was in accord with Islamic law. Since I am not a scholar of Islam, I will not address the issue of whether this is true or not. As an ethicist, I will address the matter of moral justification for the killings. From the standpoint of the killers, the attack on Charlie Hebdo was presumably punishment for the actions of those they killed. In general, punishment is aimed at retaliation for wrongs done, redemption of the wrongdoer or deterrence (this is the RRD model). Presumably the killers were aiming at both retaliation and deterrence and not redemption. From a moral standpoint, both retaliation and deterrence are supposed to be limited by a principle of proportionality. In the case of retaliation, the punishment should correspond to the alleged crime. The reason for this is that disproportionate retaliation would not “balance the books”, but instead create another wrong that would justify retaliation in response. This, of course, assumes that retaliation is justifiable in general, which can certainly be questioned. In the case of deterrence, there is also a general presumption in favor of proportionality. The main reason is the same as in retaliation: excessive punishment would seem to, by definition, create another wrong. A standard counter to this is to argue that excessive punishment is acceptable on the grounds of its deterrence value—the greater the punishment, the greater the deterrence. While this does have a certain appeal, it also runs counter to common moral intuitions. For example, blowing up a student’s car for parking in a faculty parking space at university would certainly deter students, but would be excessive. As another example, having the death penalty for traffic violations would tend to deter such violations, but this certainly seems unacceptable. There is also the standard utilitarian argument that excessive punishment used for deterrence would create more harm than good. For example, allowing police to execute anyone who resisted arrest would deter resistance, but the harms to citizens and society would certainly seem to outweigh the benefits gained. As such, it seems reasonable to accept that punishment for the purpose of deterrence should be proportional to the offense. There is, of course, still the concern about the deterrence factor. A good guiding principle is that the punishment that aims at deterrence should be sufficient to deter, yet proportional to the offense. Roughly put, deterring the misdeed should not be worse than the misdeed. In the case of the people at Charlie Hebdo, their alleged offense was their satire of Mohammad and Islam via cartoons. On the face of it, death certainly seems to be a disproportionate punishment. After all, killing someone is certainly vastly more harmful than insulting or offending someone. A proportional response would have been something along the lines of creating a satirical cartoon of the staff, publishing an article critical of their cartoons or protesting these cartoons. That is, a proportional response to the non-violent expression of a view would be the non-violent expression of an opposing view. Murder would obviously be a vastly disproportionate response. It could be replied that the punishment was proportional because of the severity of the offense. The challenge is, obviously enough, arguing that the offense was severe enough to warrant death. On the face of it, no cartoon would seem to merit death. After all, no matter how bad a cartoon might be, the worst it can do is offend a person and this would not seem to warrant death. However, it could be argued that the offense is not against just any person, but against God. That is, the crime is blasphemy or something similar. This would provide a potential avenue for justifying a penalty of death. It is to this that I now turn. Religious thinkers who believe in Hell have long faced the challenge of justifying eternal damnation. After all, as David Hume noted, an infinite punishment for what must be finite offenses is contrary to our principles of justice. That is, even if a person sinned for every second of her life, she could not do enough evil to warrant an infinitely bad, infinitely long punishment. However, there is a clever reply to this claim. In his classic sermon “Sinners in the Hands of an Angry God”, Jonathan Edwards says of sinners that “justice calls aloud for an infinite punishment of their sins.” Roughly put, he justifies the infinite punishment of sin on the grounds that since God is infinitely good, any sin against God is infinitely bad. As such, the punishment is proportional to the offense: infinite punishment for an infinitely bad crime. It could be contended that creating cartoons mocking Mohammed and Islam are sins against an infinitely good God, thus warranting an infinite punishment and presumably justifying killing (which is less than infinite punishment). Interestingly, the infinite punishment for sins would seem to render the punishing of sinners here on earth pointless for two reasons. First, if the sinner will be punished infinitely, then punishing him here would not increase his punishment. So, there is no point to it. Second, if the sinner is going to be punished divinely, then punishment here would also be pointless. To use an analogy, imagine if someone proposed having a pre-legal system in which alleged criminals would be tried and, if found guilty, be given pointless and miniscule sentences (such as being mildly scolded for one second). The alleged criminals would then go on to the real legal system for their real punishment. This pre-legal system would obviously be a pointless waste of time and resources. Likewise, if there is divine justice for sins, then punishing them here would be a pointless waste of time. This, obviously enough, assumes that God is real, that He punishes and that He would punish people for something as minor as a cartoon. It would certainly seem to be a rather petty and insecure God that would be overly concerned about snarky cartoons—people are usually most likely to react to mockery when they are strong enough to punish, but weak enough to be insecure. God, I would think, is far too big to be enraged by cartoons. But, I could be wrong. If I am, though, God will take care of matters and there is thus no reason to kill cartoonists. If God does not exist, then the cartoons obviously cannot have offended God. In this case, the offense would be against people who believe in a make-believe faith. While such people might be very offended or angry at being mocked, killing the cartoonists would be like enraged Harry Potter fans killing a cartoonist for mocking Daniel Radcliffe with a snarky cartoon. While they might be devoted to the make believe world of Harry Potter and be very protective of Daniel Radcliffe, offensive cartoons mocking a real person and a make believe system would not warrant killing the cartoonist. As such, if God is real, then He will deal with the offense against Him. As such, there would be no justification for people seeking revenge in His name. If He is not real, then the offense is against the make-believe and this does not warrant killing. Either way, the killings would be completely unjustified. As mentioned in the previous essay, Candida Moss’ the Myth of Persecution got me thinking about the notion of the good death. Her mention of Socrates and discussion of the stories of martyrdom reminded me that a considerable part of the Apology is about death and why it should not be feared. In her book Moss makes an interesting argument in which she endeavors to show how the death of Socrates and other ancient philosophers shaped the later Christian martyrdom. One similarity worth exploring further is the idea that the philosophers and Christian martyrs face death bravely. To use the most famous example, Socrates faced both his trial and death with considerable courage. Or, perhaps a better way to put it, a lack of fear. Since Socrates, unlike most martyrs, presented a detailed case supporting his view that death should not be feared, his story makes an excellent point of focus. Socrates gives multiple arguments to support his claim that death should not be feared. 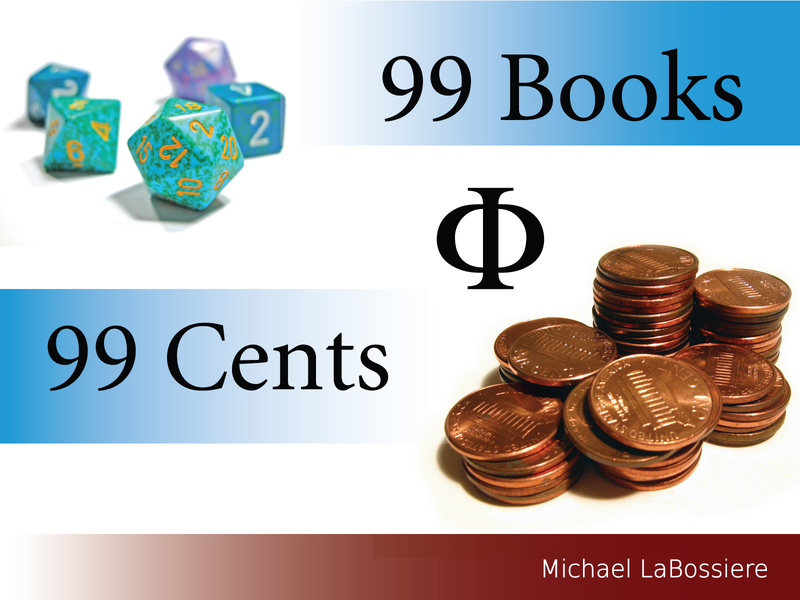 I will present a summary of each as well as commentary. Socrates first argument, which I will call the ignorance argument, runs as follows: As Socrates sees it, “no one knows if death may be the greatest good” and hence if someone fears death, they are making an error. This error, for Socrates, is to have the mere pretenses of wisdom—believing that one knows something he does not. Socrates, who well known for his claim that his wisdom amounted to knowing that he knew nothing, claims that he does not know about death. He does, however, claim that he knows that he should not fear or avoid a possible good (which death might be). Rather, he should fear and avoid a certain evil—in this case, injustice. Thus, Socrates two main reasons here for not fearing death are that 1) he does not know if death is good or evil and 2) he fears injustice as a known evil and will choose death, which might be good, over being unjust. 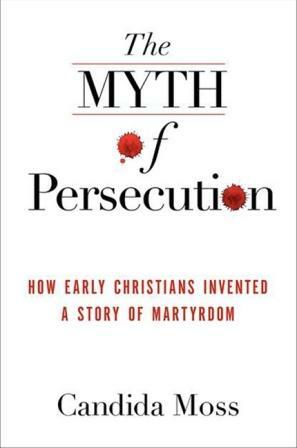 As might be suspected, the Christian martyrs would not, in general, lack the fear of death for the reason that they accepted their ignorance of the matter. As Moss notes in her book, the generally held view was that martyrs were guaranteed not only heaven, but also premium treatment. However, the Socratic influence can, perhaps, be seen in the notion that the Christian martyr stories often involved the martyr facing the same choice as Socrates, namely giving up his principles to avoid death. Like Socrates, the martyrs elected to avoid what they regarded as the known evil. In terms of courage, facing the unknown nature of death would require some degree of bravery. After all, while it could be good, it could also be bad. Socrates does, of course, seem to be assuming that any possible evil of death would be less evil than injustice. As such, it could be claimed that his choice is not a matter of courage—after all, he is merely choosing something he does not fear (death) over something he does fear. He can, obviously enough, be regarded as brave from the perspective of people who do fear death. Socrates’ main argument as to why death is nothing to fear is his famous dilemma: he claims that “death is a state of nothingness and utter unconsciousness or a change and migration of the soul from this world to another.” While some might fear the nothingness, Socrates does not—he regards it as a great gain, like a sleep undisturbed even by dreams. The other option, as he sees it, is even better: what we would now regard as a heavenly afterlife in which one is judged by those “who were righteous in life” and is, for good measure, happy and immortal. Interestingly enough, Ecclesiastes 9:5 seems to match what Socrates: “For the living know that they shall die: but the dead know not anything, neither have they any more a reward; for the memory of them is forgotten.” There is also the more popular view that the good go to Heaven when they die—where they are, as Socrates said, happy and immortal. While some claim that Socrates is merely trying to calm his friends, the argument is worth assessing in terms of whether or not it shows death is nothing to fear and also in terms of how this connects to the matter of bravery. On the face of it, if Socrates actually believed the claims in his own argument, then facing death would not seem to be a matter of courage. After all, facing something that one does not (and should not) fear is not courage. To use an analogy, suppose we are in a house and hear a strange noise coming from the dark basement. If I have no idea what is down there in the dark, then it would (or could) be brave of me to go into the dark to find out what made the noise. However, if I believe the noise is being made by my husky pursuing a cat, then it would be no braver of me to go into the basement than it would be for me to eat some ice cream—after all, I would believe that I was not facing anything bad. As such, if Socrates believed that death was really nothing to fear, than facing it without fear would not be courage. As should be obvious, Socrates can be easily accused of presenting a false dilemma. After all he offers two alternative when it is easy enough to imagine post-death experiences that are very horrible indeed, such as Hell or a Hell like place where people are unhappy and immortal. Such fates would presumably be something to fear. What would be needed is, of course, evidence that only good things can happen to the good. Naturally, Socrates clearly believes that he is good, just as the martyrs are presented as being good. Socrates does, of course, make exactly that claim. Near the end of the Apology he says, “no evil can happen to a good man, either in life or after death.” While he is aware that he has been sentenced to death, he does not regard this as a harm, since he is sure that he has not been “neglected by the gods” and, famously, his little voice did not stop him from choosing the course he followed. Not surprisingly, a similar view is held by the martyrs—at least as they are generally portrayed in the stories. That is, in the stories they receive a proper reward for their martyrdom. If a martyr knows or at least believes that death is actually a great gain, then choosing death or accepting death are not acts of courage. After all, if I choose ice cream or accept a bowl of it, I am not thus a brave person. The obvious reply is, of course, that the process of death tends to hurt—especially the deaths that the Christian martyrs are said to have experienced. As such, it could be argued that they had physical courage in that they were willing to face the pain that stood between them and their reward. Going with the ice cream analogy, I could (perhaps) be called brave if I had to win my ice cream by enduring some modest amount of pain (after all, I am just getting ice cream and not Heaven). Then again, perhaps enduring some discomfort for a gain is not courage at all, but merely a desire for gain that is stronger than the pain. A while back I saw Rick Perry receive thunderous applause for the number of executions in the state of Texas. More recently I saw his video in which he claims that he is not ashamed to admit he is a Christian. Thanks to Rick, I started thinking about God and punishment. On many conceptions of God, God punishes and rewards people for their deeds and misdeeds when they reach the afterlife. This afterlife might be in Heaven or Hell. It might also be a post first life Resurrection in the flesh followed by judgement and reward or punishment. In any case, those who believe in God generally also believe in a system of divine rewards and punishments that are granted or inflicted post death. Interestingly, people who believe in such a divine system generally also accept a system of punishment here on earth. Some, like Perry, strongly support capital punishment here on earth while also professing to be of the Christian faith (and thus believing in divine punishment). The stock justifications for punishment (like executions) include retribution, reparation, and deterrence. In the case of retribution, the idea is that a misdeed warrants a comparable punishment as a just response. In the case of reparation, the idea is that the wrongdoer should be compelled to provide compensation for the damage done by his/her misdeeds. Deterrence, obviously enough, aims at motivating the wrongdoer to not do wrong again and to motivate others not to do wrong. When it comes to punishment, it seems reasonable to accept certain moral limits. At the very least, the severity and quantity of punishment would need to be justified. At the very least, the punishment should be on par with the crime in terms if its severity and quantity (otherwise it merely creates more wrong). Punishment without adequate moral justification would seem to be morally unacceptable and would seem to be wrongdoing under the name of punishment rather than justice. Getting back to God, suppose that God exists and does inflict divine punishments for misdeeds. If this is the case, then it would seem to be unreasonable, perhaps even immoral, for human courts to inflict punishment for crimes that God also punishes. First, if God punishes people for their misdeeds, then there is no need to seek retribution for crimes here on earth. After all, if someone believes in divine justice, they would also need to believe that mortal retribution is unnecessary-after all, whether we punish the wrongdoer or not, just retribution shall occur after the wrongdoer dies. If we do punish a wrongdoer, then God would presumably need to subtract out our punishment from the punishment he inflicts-otherwise He would be overdoing it. As such, mortal retribution is simply a waste of time-unless, of course, it takes some of the load of an allegedly omnipotent being. Second, if God rewards good deeds and punishes misdeeds, then there would seem to be no need for reparations here on earth. After all, if someone steals my laptop, then God will see to it that s/he gets what s/he deserves and so will I. That is, all the books will be balanced after death. As such, if someone believes in divine justice, then there seems to be little sense in worrying about reparation here on earth. After all, if we will just be here for a very little while then what will my laptop matter in the scope of eternity? Not a bit, I assure you. Third, if God inflicts divine punishments and hands out divine rewards, it would seem absurd to try to deter people with mortal punishments. If someone believes that murderers are not deterred by the threat of Hell (or the hope of Heaven), then they surely would not think that the mere threat of bodily death would have deterrent value. To use an analogy, if I knew that a friend of mine would shoot anyone who tried to hurt me, it would be odd of me to tell someone who threatened to harm me that I would poke them with a toothpick. After all, if the threat of being shot would not deter them, the threat of a poke with a toothpick surely would not work. It might be argued that we need to punish people here because not everyone believes in God. To use an analogy, if I told people that I am protected by a sniper armed with a .50 caliber rifle, they might still make a go at me if they did not believe in the sniper. As such, I would want to show them my pistol to deter them. Likewise, to deter non-believers we would want to have jails and lethal injections to scare them away from misdeeds. After all, while some people might not believe in God, everyone believes in prison. Of course, the fact that we rely on prisons and other punishments for deterrence does seem to indicate that we regard God’s divine justice as having very little deterrence value-unless, of course, it is claimed that criminals are atheists or agnostics. There is also the usually concern that God does not seem particularly concerned with deterring misdeeds. After all, while religious texts present various threats of divine punishment, there is no evidence that God actually punishes the wicked and this certainly cuts into the deterrence value of His punishments. To use an analogy, imagine if I told my students that cheating in my class would be punished by the Chair of Student Punishments for Philosophy Classes and the punishment would take place after graduation. Imagine that a student turned in a plagiarized paper and cheated like mad on the tests, yet I did nothing and simply entered in grades as if everything was fine and nothing happened. Imagine that the students never see the alleged chair and the only evidence they have for her existence is the fact that she is listed on my syllabus and a little sign I put up on an empty office. As might be imagined, the students would not deterred from cheating. If there really was a Chair of Student Punishment for Philosophy Classes, she would make an appearance in the class and administer punishments as soon as she was aware of the violations. The same would seem to be true of God. Crudely put, if He does exist and metes out justice, then we would not need to punish (at least in the case of the misdeeds that concern Him). If we do need to punish, then it would seem that either He does not exist or He does not dispense divine justice. I recently had a discussion about the killing of Bin Laden. One point that was raised was that the raid was actually an act of murder because no one in his house was armed and no resistance was offered to the Seals. This point was used by one person to argue that the Seals committed murder. One point worth considering is the source of the claim that there was no resistance.When I asked about this, I was informed that two Pakistani officials have made this claim and described it as “cold-blooded.” My initial response was the obvious: Pakistani officials are rather lacking in credibility regarding Bin Laden. After all, they have told the world for years that they had no idea where he was located. It is important to note that I am not rejecting their claims on the basis of an ad hominem. Rather, I am suspicious of their claims on the basis of assessing the officials quality as reliable authorities in this matter. However, let it be assumed that Bin Laden and his fellows were unarmed and did not resist. While killing unarmed people who are offering no resistance can be regarded as rather cold-blooded, it need not be murder. After all, while murder is a type of killing, not all killings are murder. On the face of it, murder would seem to be intuitively defined as a wrongful killing. This sort of definition is typically used to distinguish capital punishment from murder. In the case of capital punishment, one stock argument is that the person killed has been found guilty of a crime and that the just punishment is death. Since the death is not, in theory, wrongful, it is not murder. Naturally, a multitude of objections can be raised against capital punishment, but there does seem to be an important theoretical distinction between murdering a person and killing a person in the process of justice.Obviously enough, capital punishment is generally inflicted on a person who is unarmed and who typically offers no resistance. As such, the death of Bin Laden could be regarded as capital punishment rather than murder. Under Locke’s view of capital punishment, the killing of Bin Laden would seem to morally correct-after all, Bin Laden showed himself to be an enemy of humanity and thus could be destroyed like a dangerous animal. If the capital punishment argument does not float, the matter of war can be used. Killing occurs in war, however it is generally not classified as murder provided that the appropriate rules of war are followed. While killing people who are not armed is generally looked down on, snipers are not tried as criminals when they shoot unarmed and “unresisting” targets-provided that those targets are otherwise legitimate. Taking out high value assets (such as commanders) is also considered legitimate in war, even when those targets are not wielding weapons. It might be countered that soldiers are expected to take prisoners and hence killing Bin Laden was an act of murder, even in the context of war. Of course, the ethics of taking prisoners does include the fact that the soldiers are not morally required to take great risks merely to keep an enemy alive. Since Bin Laden was clearly a legitimate target and it seems likely that getting him out of Pakistan alive would have been rather difficult, it would seem that the soldiers would be morally justified in killing him on the spot rather than risking their own lives needlessly and putting their mission at risk. Iran recently declared two people enemies of God and executed them. While executions are nothing new in Iran (or anywhere else for that matter), using this sort of justification is apparently a change in Iran. On the face of it, this sort of charge is absurd. After all, since God is all powerful and all knowing, then He knows who His enemies are and can take any action He deems appropriate against them. Of course, God’s enemies cannot do a damn thing to Him (He is, after all, all powerful) so they are hardly any threat to God. As such, God would really have no justification in harming such people. He cannot, after all, claim self defense. But, if God does exist and has real enemies, then He would certainly smite them. After all, the old testament features numerous cases of God smiting people. So, it is reasonable to infer that God’s failure to smite His enemies shows that either these folks are not His enemies or that God does not exist (and so cannot smite anyone). However, the charge does have a certain logic to it. According to the official line, Iran is an Islamic Republic and is supposed to be following the laws of God. Therefore, anyone who breaks the law is breaking God’s law. Going a bit more extreme, the rulers might cast themselves as God’s agents and hence those who oppose the regime would be enemies of God’s agents and thus of God. This, of course, assumes a great deal about God’s relation to the rulers and laws of Iran. I see no evidence that God is on their side, but perhaps they know things that I do not. My main thought is that this will be used as a terror tool against people opposing the regime. After all, many folks in Iran are religious and being officially declared an enemy of God might have more threat value than mere secular threats. Also, the state executes enemies of God, so it can also be seen as a way of saying “we are going to kill you” with a theological twist. This sort of thing reveals a great deal about what is going on in Iran. First, the folks who use this justification are either using it as a tool or are functionally insane (or both). Since they are close to being a nuclear power, this is rather worrisome. I am inclined to think that the folks in Iran are as sincerely religious as other political rulers-that is, not at all. Second, these folks seem to be desperate-when people resort to such extremes, that is a good sign they are afraid. Third, the opposition is strong enough (or seen as strong enough) to merit such threats. Of course, this could also be mere rhetoric-something we see from politicians around the world (including our own).